UPDATED! This post was expanded and updated for 2019 to include fresh new information. The truth is, video production is not an easy task or an affordable one. Many teams set out to add video into their marketing strategy but struggle with costs, and don’t always understand the process either. Why? Because the most important part of the video production workflow is what happens before the camera starts rolling. Pre-production, or the planning and logistics phase of a video project, is where most of the magic happens—long before you hit the “record” button. And while poor pre-production may not break your video, it will break your budget if you don’t do your due diligence. Even if a video production team has on-staff creatives, they may not understand your vision or premise. Similar to when you go to a hairdressing salon with a picture to help explain what you want, pre-production is where you put that image together. You can’t create a knockout video without a plan of how you’ll create it, right? 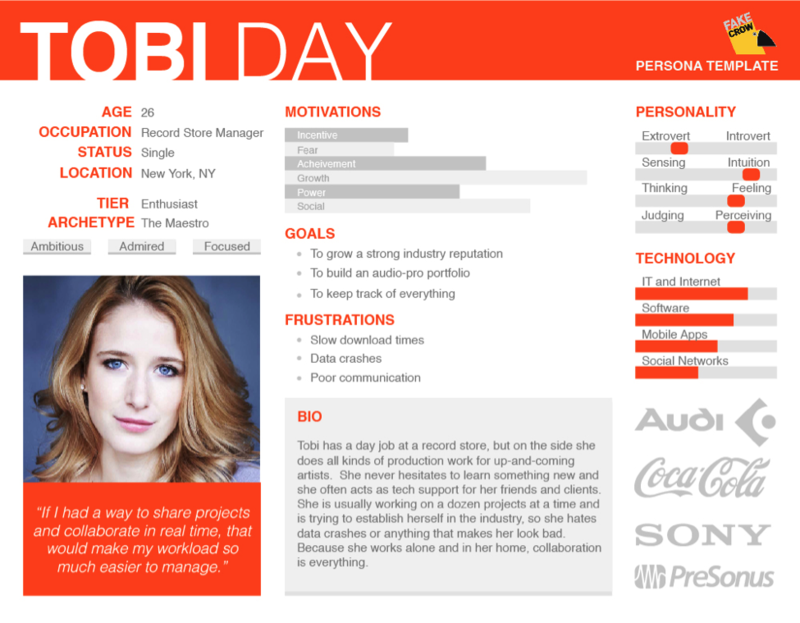 Defining an audience is a complex process that includes building buyer personas. After all, your audience is more than just one customer with one interest; the group of people you’re targeting is likely to have overlapping interests that you can exploit when planning your video content. Narrowing down your video viewer to a specific buyer persona— rather than a generic audience—will help you create a much more targeted and effective video in the long run. The reasoning for this is simple: writing with one specific person in minds allows you to tell an authentic and relatable story. Too often, marketing campaigns are built to include everyone, but result in interesting no one. Instead, craft your video message to your buyer persona: what they find entertaining or interesting, and how the product or service relates to and can help them. Fancy taking a look at this concept in practice? Look to the likes of Dove and Dollar Shave Club for for two entirely different (yet effective) video content productions that cater to their unique buyer personas. While the importance of knowing your audience and defining a target market is critical, clearly knowing and understanding your message is just as important. In other words, don’t try to cram everything into a single animated explainer video. Your business is made up of many moving parts, and you’ll likely need different videos for different purposes. 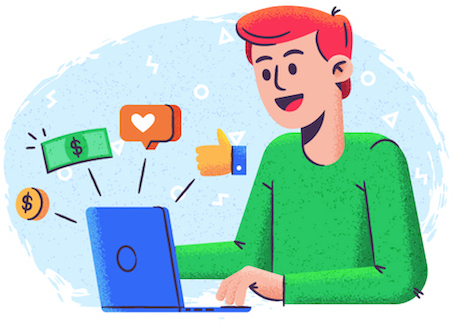 For example, you might need an explainer video to give potential customers a product demonstration, a product demo video to bring new website visitors up-to-speed on what you offer, or a powerful TED Talk-type of message from your CEO. Don’t try to explain what you do, sell your service, and bring up a case study all in the same video. 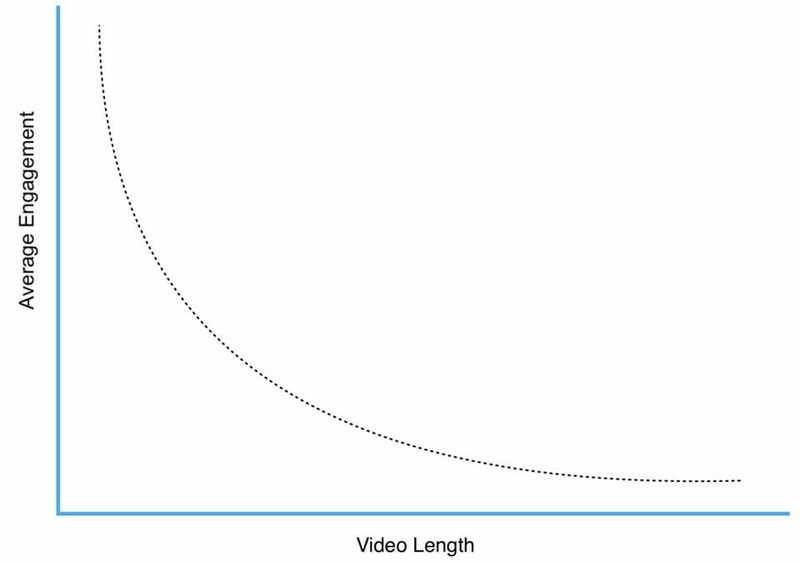 A tailored video with a specific message and a specific goal will be much more effective in the long run. Once you’ve defined your audience and your message, you need to define your budget. Why? Well, failing to gauge a budget at the beginning of pre-production is a good way to inadvertently go over budget. Plus vagueness means that it’s impossible to manage expectations. Some elements of video creation are more costly than others, which could lead to you over-promising but under-delivering—especially if you’re planning to go above and beyond with your video content by including voice overs or third-party interviews. The pros of working with a good production company is that they value their work. It’s placed in their portfolio and used as an online marketing ad. Giving them a budget before you ask them to commission your video allows them to produce the highest-quality content with the budgets you have available. Knowing your budget ahead of time also lets you narrow down what you can and cannot do for any given video project, and eliminates a lot of second-guessing. While a lot of big ideas come from the C-suite, not all executives know how to write video scripts—a key part of pre-production that’s most commonly understated. Too often, teams write the script and execute without critiquing, revising and critiquing some more. Think about it: It’s tricky to piece together a script of what you want to say without having input from other members on your marketing team who speak to customers individually. Take a look at Zendesk’s explainer video. Although the video itself is very basic (it’s one shot without many moving parts), the video script takes center stage—and is what makes the production complete. The script for your video may have gone through several drafts by the time post-production rolls around, but having a solid base to work from will form a large part the course of your production and post-production schedules. Taking the time to get professional input—whether that’s from professional video script writers or the video marketing agency you’re working with—at this stage of pre-production is an extremely worthwhile investment! Traditional in-your-face TV infomercials and blatant calls-to-action have almost been replaced by a smarter, subtler brand of business video. But that’s not to say that there isn’t a place for friendly reminders. That’s why we’ve listed greetings and sign-offs in our list of video pre-production tips—because subtly promoting your business can push your audience to completing the goal you’re working toward. However, you should be wary about being too subtle with your ask. This can actually detract from conversions—as in the case of Wren Studio’s video of strangers kissing. This interesting and emotionally captivating video went viral (41 million YouTube views in three days), but without a CTA or a next-step direction, it lost its momentum—and potential sales. “First Kiss” is actually an advertisement for Wren Studio, a clothing company, but you’d be hard-pressed to know that after watching it. 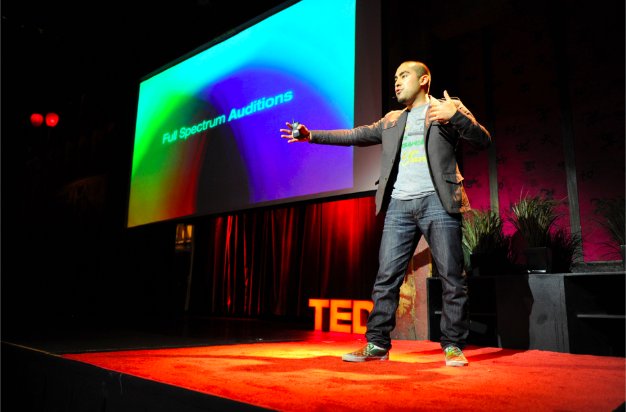 So how do you strike the balance between subtleness and over-promotional? The answer is simple: Plan the video as you would normally, without mentioning any calls to action. Then, when the content is coming to a close, ask your viewer to take action—whether that’s by visiting your website, clicking a link or making a purchase. In a world of disappearing messages loaded up with stickers and filters on Snapchat and Instagram and smartphone-induced ADHD, it’s important know that most viewers will click away from your video after the first eight seconds if their attention wavers. Why? 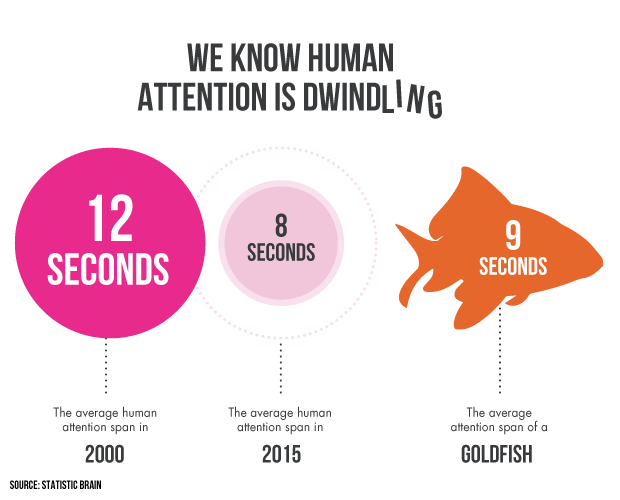 Because the average attention span is just 8.5 seconds (which is one second less than the attention span of a goldfish, by the way). Fortunately for video producers and scriptwriters everywhere, this isn’t a bad thing. The first eight seconds of video are just enough to include a brief greeting that states who the speaker is, what brand he or she is representing, and what they’re going to talk about. Many writers refer to the term “mid-res”, an abbreviation for “in medias res”, which means “into the middle of things.” Starting a story in the middle of things kicks the viewer into a whirlwind of excitement that will keep them engaged long enough to hear your why in the video. The “why” of your video is the reason why your audience will benefit from your product or service. (AKA, the most important part.) It’s also a problem that your company can resolve for them. 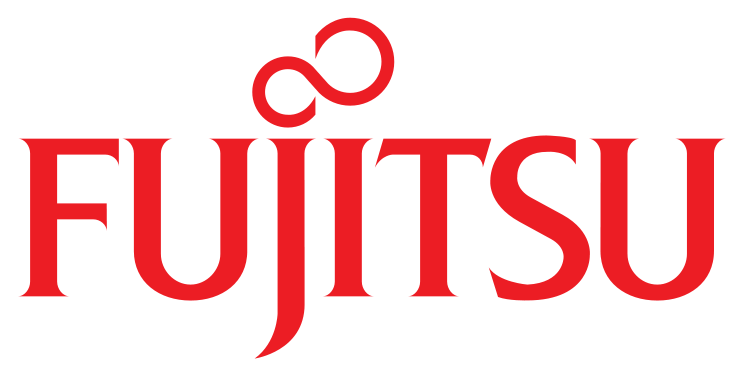 Just take an accounting software company, for example. Their target audience of small business owners might not realize they’re spending too much time collecting, scanning and filing receipts until they’re shown the brand’s video—and convinced to switch. Keep in mind that the length of a video generally varies depending on which stage of your marketing funnel you’re creating content for. 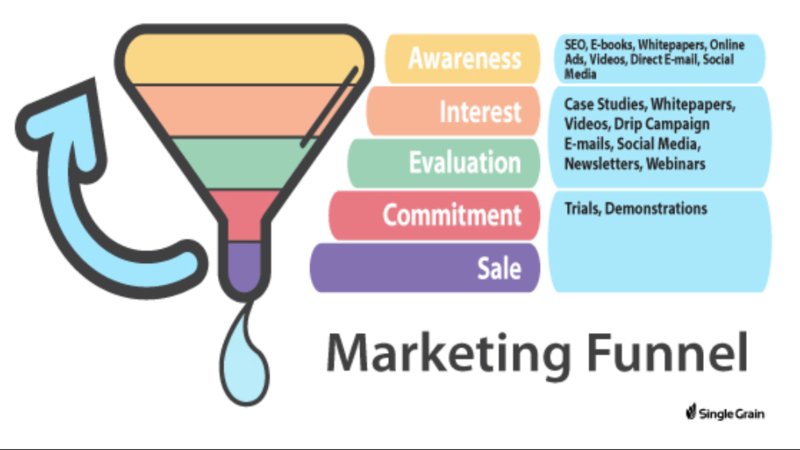 The lower down in the funnel you go, the longer (though still focused) your video content can be. The last step and guideline for effective video script writing is to be transparent and authentic. One report found that consumers trust their family and friends more than company advertisements. And although companies can never be peers, they can be experts in their field who offer something of value in a non-salesy way. Video marketing is a very effective type of content marketing, and the ultimate goal of content marketing should be thought leadership. In other words, you want your viewers to see you as an expert and place trust in your brand—and not just about your own products and services, but about everything. A storyboard is a sequence of drawings that shows all the various shots of your video and gives everyone working on the video content a solid plan to work from. Vidyard has a pretty good explainer post that covers the basics of creating storyboards from a non-artist’s point of view, and shares exactly why video marketers should always make them before shooting the video. Just as a video script is an indispensable pre-production tool, a storyboard is invaluable as an efficient way to visualize the shoot before it happens. Why? Because the storyboard takes the script and verifies its possibility by taking the images in your head and putting them on paper. What does the location need to have for the production to work? Is there a location in mind? What tools will each shot require in order for them to look and feel the way the script intended? 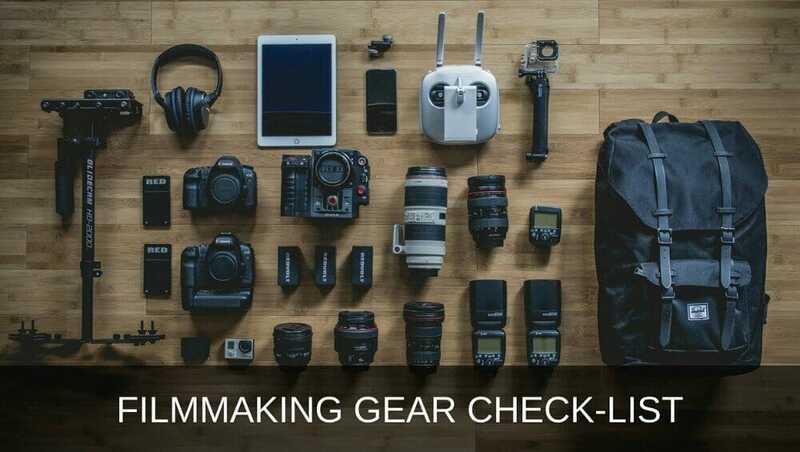 There are a variety of functions, lenses, tripods and sliders that may or may not be available for the shoot, so it’s wise to know what equipment you’ll need beforehand. The tools will also affect your budget, so knowing if you need that crane shot and the cost for the rental are crucial to pre-production. Not a great artist? 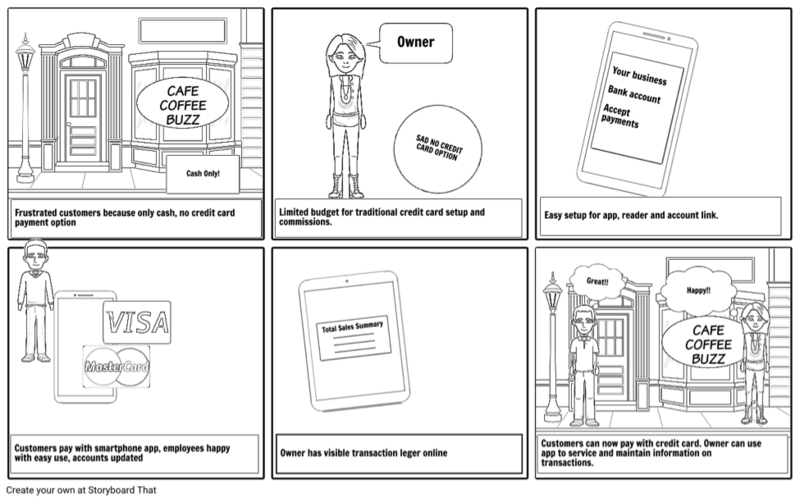 You can always use a service like StoryboardThat to create the storyboard for your marketing video. 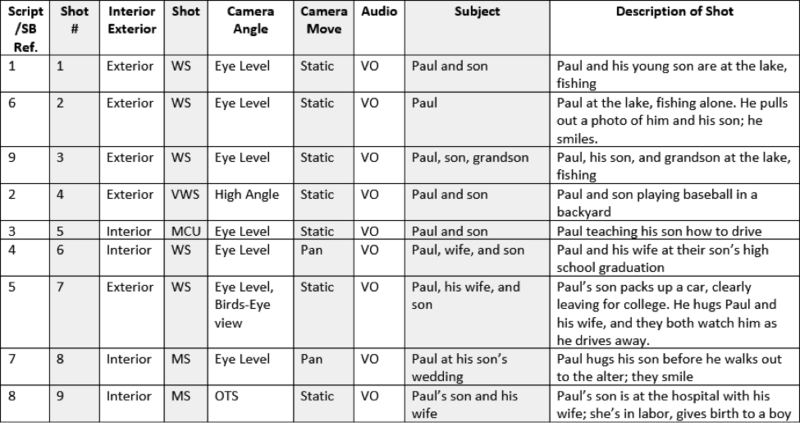 Just as a storyboard is the scene-by-scene breakdown of a video, a shot list is the shot-by-shot breakdown of each scene. So, make sure this is on your pre-production to-do list (after crafting your storyboard). Covering these two areas with help from your producer and videographer will save you tons of time during production. Now that you’ve got the basics covered, it’s time to think about when and where you’ll be recording the video. 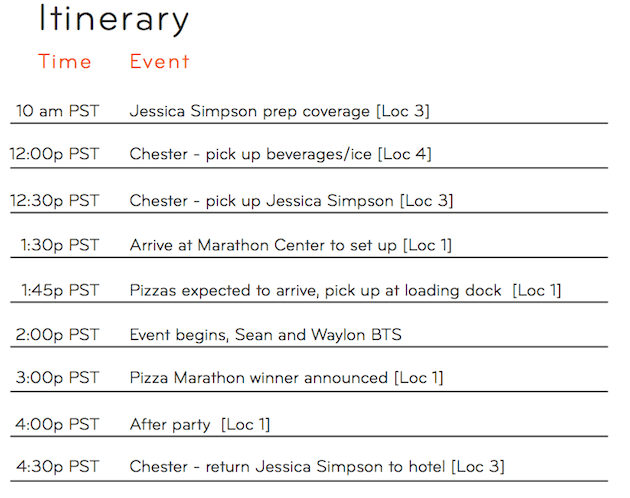 This is your production schedule or a shooting schedule. You’ll need this document to make any kind of judgment call on whether your video project is going according to plan and to manage the time expectations of stakeholders. A production schedule is a one-stop shop for all your production questions and concerns and should be updated regularly and shared with the entire team. As a rule of thumb (particularly when stakeholders are involved), it’s always best to under-promise but over-deliver. One of the best ways you can do that is by not giving yourself a razor-thin window of completion, especially if you aren’t very familiar with video production workflows. Underestimating production time is just as bad as overestimating resource capacity. You don’t want to rush through one section of your storyboard because you haven’t allocated enough time to film it—and potentially need more time to re-film, which means renting equipment and getting the actors back again. So, if this is your first time working on a video or if you still feel you aren’t very experienced, give yourself more time to work with to prevent unforeseen scheduling, shooting and post-production conflicts wreaking havoc with your entire plan. There are few decisions you can make with more resounding impact on the production schedule than whether you want to do your shoot at a studio or on location (like a beach, for example). While it may not seem like a huge deal at a glance, it certainly is for your budget. Studios will already have everything in place for you to work with and all you’ll need to do is show up and bring your actors. Shooting on location, on the other hand, involves travel and equipment transportation costs and the whim of the elements (like weather). You’ll need to be aware of these costs—and include the location details in your production schedule. Even if you do decide to shoot in a studio, you should still visit it beforehand to get a full understanding of the space you’re working with. Why? Because one of the best ways to build an accurate production schedule is by determining which locations will be problematic and scheduling them into your day based on availability. Outdoor shots, for example, need to be scheduled based on the type of lighting you require and should be flexible in case of inclement weather. If you’re shooting in a real office, however, shots will need to be conducted after hours. Visiting locations ahead of time also gives you the chance to preview each “scene” and update both your shot list and storyboard with actual, accurate pictures. Unsure on where to start? Check out this article from DIY Photography on location-scouting for other factors you’ll need to consider. Knowing exactly what equipment you’ll need for every shot in your shot list should be something that you have set in stone long before the first camera starts rolling. Understanding the basics of a script, storyboard, shot list and even production schedule might be easy, but knowing why a Canon 5D wide angle lens steady camera is the best choice for a specific 3-second shot is not so intuitive. Ideally, equipment needs will be managed directly by a production manager, who will coordinate equipment hire from your shot list. However, for smaller projects, the videographer should be the one making the call. Once you’ve worked with your producer to list the equipment you’ll need for all your shots, take a moment to double check what you already have in-house (because your producer certainly won’t know). Larger companies with multiple departments could literally have viable equipment tucked away in some storage room. Maybe there’s a certain type of microphone that HR uses to make their recruiting videos, or a high-tech camera lying somewhere in the product department. Checking before ordering new equipment could save you hundreds to thousands of dollars in rentals! Often, the narrator in large-scale business videos will be someone from the C-suite. But you might want someone who can get the job done better, quicker, and build stronger relationships with your audience, too. That’s when hiring professional actors can come in handy. However, if you want to shave a bit more off your budget and identify a long-term talking head for your videos (especially if you want to start a company vlog), keep in mind that there could already be someone in your HR, sales or marketing department who’s just waiting to shine. To find these people, send a company-wide letter inviting interested people to take part in a quick interview or even audition with the script you’ve put together. Every company has its fair share of interesting characters, and one of them might just fit the camera perfectly. Where an actor or paid hire might study the script and play well, nothing compares to someone who lives and breathes your brand message every single day. Regardless of whether you decide to go with professional actors or in-house representatives, one of the last spreadsheets you’ll need to prepare is the call sheet. 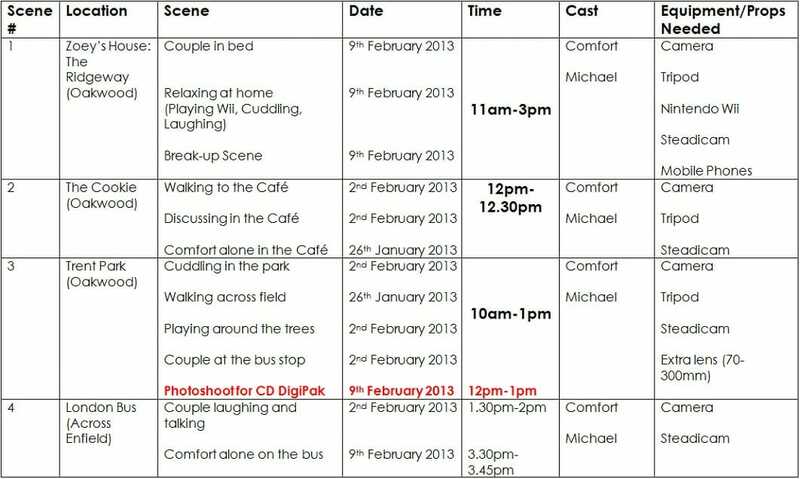 This all-important companion sheet to the production schedule includes the contact information of every member of the film production crew and the actors. A good call sheet will answer all the basic “who, what, where, when, and why” questions at a glance, and is practically invaluable when it comes to keeping organized, calming nerves and managing expectations. The call sheet will be used more often than you think: from a daily checklist, to role call, to the emergency contact list when you’re missing a key player in the shoot. If you’re confused about how to piece a call list together, you can use a service like Still Motion which provides call sheet templates. Once you have your script, storyboard, shot list, production schedule and call sheet lined up, you’re almost ready. Now, it’s time to put your talent on set! As any actor will tell you, the importance of line-readings and rehearsals cannot be understated. It’s a good idea to get your talent familiar with locations, dress, directions, etc., before they show up for the actual shoot so they – and you – know what to expect. If you’ve found that one of the actors you’ve commissioned doesn’t fit with your vibe, now is the perfect time to recast if necessary. 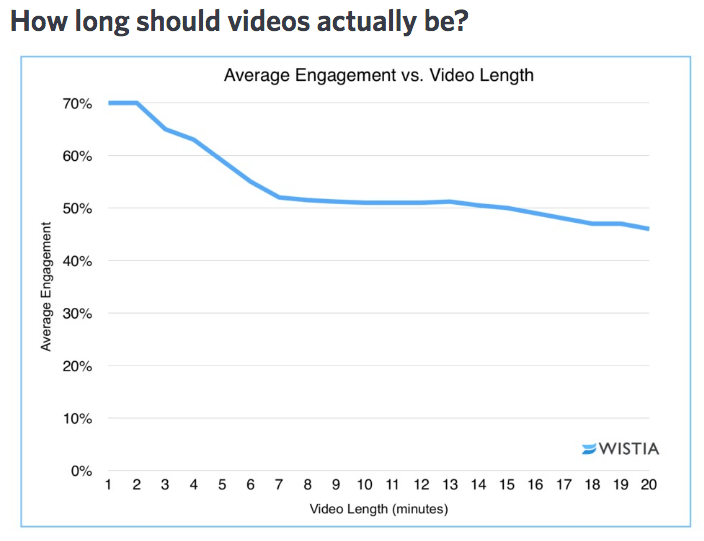 If you’ve reached this point and are questioning whether the video you’re planning is worth the effort, don’t lose faith—and remember that video marketing is worth it! As you can see, there are many things to consider before hitting the “record” button on your latest video marketing campaign. Always make sure you’ve got the basics covered, know the purpose of your video, and have the equipment you’ll need to make a solid start when it comes to filming. The sooner you start using video in your marketing, the sooner you can leverage its power to establish thought leadership and trust in order to attract, qualify and convert new customers to your brand as well.